The Spire Hotel’s in-house bar and restaurant No5 Church Lane, is now daily from 7:30am till late, offering outstanding local produce prepared with a Mediterranean twist, an excellent choice of Otago and international wines, and exquisite cocktails. A new focus on vegetarian friendly dishes to compliment brilliant Otago and Fiordland game dishes and enticing desserts. While enjoying your stay at our luxury Queenstown accommodation, savour a warm and intimate night in tasting the very finest dishes and signature cocktails Queenstown has to offer, all showcasing the flavours of central Otago. 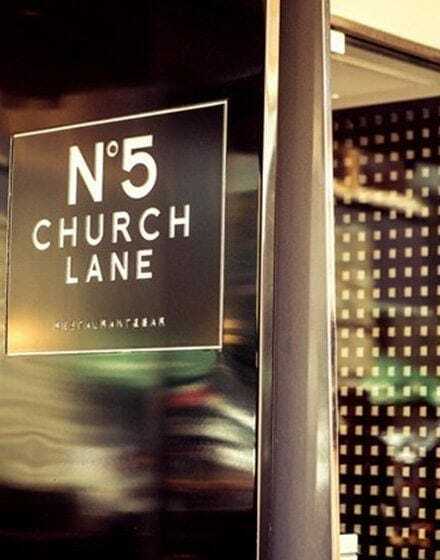 Featuring comfortable contemporary furnishings including newly developed private dining area, No5 Restaurant and Bar offers a chic yet casual environment where you can relax and enjoy an evening with friends.